A native Californian, Dave brought passion and 25 years of conservation work on the San Joaquin River to Sonoma Land Trust in 2015. He guided the development of our strategic plan and advances land protection while implementing new programs for community engagement and the Russian River. 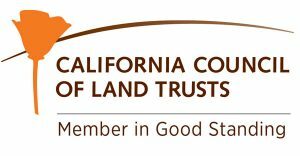 Dave is on the board of California Council of Land Trusts. In 2012, he received the Partner in Conservation Award from the Department of the Interior for his work restoring the San Joaquin as a National Waterway. Dave lives near Sebastopol. He likes hardware stores, anything outdoors, Bob Dylan and the San Francisco Giants. As the executive administrator for Sonoma Land Trust, Melissa is the liaison to the board of directors managing various board activities, as well as supporting the work of the management team. Melissa has called Santa Rosa home for over 20 years and her husband comes from multiple generations rooted in Sonoma County. Raising their two teenage children with a solid appreciation for the great outdoors has always been a priority. Prior to working at Sonoma Land Trust, Melissa had a 20-year career in the medical industry in sales, marketing and product development. She is excited to have made a career shift to follow her passion and be involved with an organization that makes a significant positive community impact. Wendy has spent nearly two decades with Sonoma Land Trust, where she has led conservation planning and land acquisition projects and secured funds to carry out the Land Trust’s conservation agenda. Previously, Wendy worked in land conservation for over 20 years for several nonprofit and government agencies, including the California State Coastal Conservancy and Washington Department of Ecology. Wendy has a BS in botany from the University of Wisconsin at Green Bay and an MA in landscape architecture and environmental planning from UC Berkeley. Kendall supports the Land Trust’s four land acquisition program managers and evaluates land conservation inquiries. Previously, Kendall worked in the Bay Area environmental planning world, working on projects for Caltrans District 4 in Oakland and the consulting firm URS where she worked on a PG&E contract. Her environmental planning experience — along with studying stakeholder engagement for watershed planning for her master’s degree — fueled her desire to work in land conservation and led her to Sonoma Land Trust in 2016. Outside of work, Kendall spends time with family and friends doing yoga, hiking, and thinking about and making art. Joseph guides the use of maps and computer-based map information to support the many needs of staff and collaborators telling Sonoma Land Trust’s story of landscape or agricultural conservation. He stewards the main components of our geographic information system, which are people, computers, mapping software, methods of cartography and mapping science, and our spatial data library. He is a certified geographic information systems professional (GISP) holding an MS degree in geographic information systems (GIS) from the University of Redlands with over 15 years of GIS work experience. John has lived in Sonoma since 2005 and joined the Land Trust staff in 2013. His primary focus is on protecting and enhancing the invaluable lands and waters of the Sonoma Valley. John has been practicing law in California since 1990, providing legal, real estate and land use planning services, complemented by over 30 years of lobbying and advocacy in Sacramento for clients and environmental organizations. Joining Sonoma Land Trust has given John a chance to apply lessons learned from numerous conservation success stories and bring them home to benefit the community in Sonoma County. Sheri keeps Sonoma Land Trust visible in the community and engages people in the mission to “protect the land forever.” Originally from the Midwest, she attended Pomona College and then moved to San Francisco, beginning a PR career within the nonprofit sector. Before joining Sonoma Land Trust in 2008, she worked for the Marin Humane Society, KnowledgePoint Software, Queen of the Valley Hospital, and others. Moving to Sonoma County in 1991, she became active in environmental issues and dreamed of a job that would put her professional skills to use protecting wildlife and wild lands — and she’s doing just that! As communications coordinator, Heather supports Sonoma Land Trust by informing and engaging the public about the organization’s mission. A Sonoma native, she has a special place in her heart for preserving the land that she calls home. Heather has a background in journalism and nonprofit communications, most recently working for the Santa Rosa Symphony and Burbank Housing. In her free time, Heather loves to rock out on her oboe, adore her two cats and explore new places. Neal leads organizational efforts to broaden audiences, serve community needs, and include a multitude of voices and interests in the work of Sonoma Land Trust. As a born-and-raised Petaluman, Neal has a deep connection with the lands, people and diversity of Sonoma County, which informs his approach and work engaging the community. Neal previously led community program development at the California Academy of Sciences, Petaluma Wildlife Museum and Sonoma State University’s Center for Environmental Inquiry. He holds a bachelor’s degree in biology, with a minor in paleontology, and a master’s degree in business administration from Sonoma State University. As volunteer program manager, Karen supports all of the Sonoma Land Trust departments by recruiting volunteers through a process that matches individual interests and skills with opportunities. Prior to creating this new program, Karen was a part of the development team, responsible for fundraising, membership and database management. She and her family live in West County and frequently spend their weekends exploring the outdoors, enjoying youth sporting events and tending their garden. Ingrid designs and manages Sonoma Land Trust’s On the Land program, which connects people to our diversity of protected lands across a variety of ecosystems. You’ll often see her out on hikes exploring the wildflowers and identifying the native plants on the landscape. A dedicated mother of a four-year-old, Ingrid brings her love of the natural world to her everyday interactions with others. She holds a BA in environmental studies and planning from Sonoma State University and an AS in business from Shasta College. Corby creates lasting connections between people and nature by leading hikes and outings out on the land and assisting with our Bay Camp for kids. Originally from Buffalo, New York, he headed west for college to seek out high mountains and wild landscapes. After graduating with a degree in wildlife biology from the University of Montana, Corby continued on to California to build backcountry trails in Yosemite, restore salmon habitat in Humboldt and teach ecology to kids in Occidental. In addition to leading hikes, Corby shares his photography and videography skills to promote our land protection mission. As director of philanthropy, Shannon helps people further their values by contributing to the work of Sonoma Land Trust. She has more than 20 years of fundraising experience and has led annual and major gift campaigns benefiting land preservation and conservation, social change grant-making and higher education. Shannon moved to California in 2008 from her home state of Maine, where she first fell in love with wild and quiet places. She now lives in Windsor and enjoys spending time with her family and keeping up with the hummingbirds who visit her feeders. As donor engagement officer, Deirdre enjoys working with others to achieve our shared mission of preserving Sonoma County’s beautiful landscape. Her family has lived in the Bay Area for four generations. Her heritage and witness to the Bay Area’s transformation led to her passion for local land conservation. Deirdre worked with Peninsula Open Space Trust and Marin Agricultural Land Trust before joining SLT in 2014. She earned her bachelor’s at UC Santa Cruz and master’s at Northwestern University. She loves spending time with her kids, and is a passionate cook, gardener, potter and outdoor athlete. Emily’s role at Sonoma Land Trust is to create lasting connections with like-minded organizations in our community. A Sonoma County native, she is proud to be raising her family in this beautiful place. Prior to joining the Land Trust, Emily worked in development for the Charles M. Schulz Museum and spent 10 years in the wine industry developing and managing events for trade hospitality. She enjoys exploring the great outdoors, drinking good wine and working in the garden with her husband and two kids. Now working half-time after 35 years at Sonoma Land Trust, Reta coordinates planned giving. As the Land Trust’s first staffperson, she recorded donations in ink and thanked 300-plus members by hand, taking board minutes, typing them on an IBM Selectric and distributing them by U.S. mail. Since then, Reta’s duties have evolved to reflect her interest in expanding long-term relationships with Land Trust supporters. She loves her ongoing connections with planned givers and learning which special talents they bring to the Land Trust’s mission. Now having more free time, she is eager to increase her singing and dancing. Ali is grateful to use her skills in community organizing and nonprofit management to engage and expand our community of members. She grew up in Eastern Washington and developed a love of the land through summers spent at the lake and on the Palouse. Ali earned graduate degrees from the University of Washington, and loves to laugh and travel. Lisa supports the development team through event planning and management, as well as member and donor stewardship. Lisa spent her childhood in Marin and Sonoma Counties, traipsing through creeks, redwood groves and apple orchards, which developed her love of the outdoors. Lisa’s work background includes project management, business development and events. After some time away, she moved back to gorgeous Sonoma County in 2003 where she’s been raising kids, volunteering and gardening ever since. She is excited to work at Sonoma Land Trust, an organization whose mission is to protect the area that she and her family love so much. As the development associate, Aja is responsible for managing the membership database and preparing reports and analyses for the development team. Prior to joining Sonoma Land Trust in October 2018, she was a grant writer for a social services agency in San Diego County. In her free time, she enjoys hiking, sewing, obsessing over political news, and playing with her Barack Obama and Ruth Bader Ginsburg action figures. Joe possesses over 25 years’ experience in financial leadership and human resources, including working in nonprofits for the last 10 years. After several years in for-profit businesses, he joined Judevine Center for Autism as chief operating officer in 2004. The organization grew by over 50 percent during his first four years to become the largest provider of Autism services in the Midwest, eventually merging with another organization to form Easter Seals Midwest. He comes to Sonoma Land Trust from Buckelew Programs, a behavioral health services nonprofit. Joe is a resident of Petaluma. Frances joined the Sonoma Land Trust staff in May 2016. As accounting assistant, she supports the finance team by performing bookkeeping duties. Prior to joining the Land Trust, she worked in accounting and human resources for a local community bank. Raised in Santa Rosa, Frances is inspired by the beauty of Sonoma County; she feels fortunate to be involved in supporting the Land Trust’s work in preservation and conservation of land and nature for future generations to enjoy and treasure. Corinne maintains the Land Trust’s accounting information systems and ensures that financial data is collected in an accurate, complete and timely manner. She diligently serves the financial reporting needs of the organization and ensures grant compliance. Corinne has a BS degree in business administration with a concentration in accounting, and over 15 years of experience in nonprofit finance. Her love for even numbers is well reflected in her household with two kids, two horses and two Australian Shepard dogs. She was born and raised in Sonoma County and loves exploring our lands with her horses and friends. As office manager, Elizabeth’s daily challenges include everything from desktop support to facilities management to staff celebrations, plus a wide variety of administrative tasks that support all departments across the organization. Elizabeth earned a bachelor’s degree in fine art from UCLA before moving to Northern California, where she worked for several conservation organizations in San Francisco and the East Bay before making Sonoma County her home. She and her husband live on a hobby farm in Sebastopol with a vegetable garden, orchard, beehives, chickens, a painting studio and woodshop, and a sweet rescue dog named Annie. Born in Seattle and raised on the Coquille River in Oregon, Linda arrived in Sonoma County in the early 1970s. As the owner and operator of a full-charge bookkeeping service, she contracted with the Land Trust for 15 years before joining the staff in 2016. Her love of the land led her long ago to volunteering at Sonoma Land Trust and other environmental organizations around Sonoma County. Trained as a scientific illustrator, her contributions to the Land Trust also included graphic design work for our newsletters dating back to the early 1980s! Shanti Edwards manages Sonoma Land Trust’s coastal preserves. Current land management projects involve collaborations with partner groups, agricultural producers, private foundations, neighbors and volunteers to implement a variety of natural resource management, infrastructure maintenance, recreation planning and community engagement activities. Shanti graduated from Sonoma State University with a BA in environmental studies. Born and raised in Northern California, she has lived in Sonoma County for over 20 years. When she’s not busy stewarding our iconic coastal properties, she enjoys time with her lively preschool-age boy and the rich experiences that family life entails. Kate works with the conservation easement program and also helps manage Sonoma Land Trust’s coastal preserves. Kate has always been compelled by a personal fundamental responsibility: to pay close attention to and care for the natural environment. When not farming, Kate has followed ornithology field jobs to the islands of Maine to study puffins, to the Caribbean and Hawaii to support endangered songbird protection, and to Point Reyes, where she fell in love with the Northern California coast. As she grows roots in Sonoma County, her work as a land steward will undoubtedly take her down a profoundly meaningful path. As a stewardship project manager, Trevor tends to our preserves in the northern part of the Russian River watershed. His background in geology gives him an appreciation for the beautiful land formations of Sonoma County. On the weekends, Trevor can be found cycling on backroads or hiking with his dog and wife. Taj assists in stewarding the Land Trust’s properties in the Sonoma Valley region. As a fifth-generation Petaluman, he loves sprawling live oaks and thick summer fog, and dedicates much of his time to caring for this place he calls home. He has a bachelor’s degree in conservation & resource studies from UC Berkeley, where he studied coho salmon conservation and creative writing; he has also worked for several local conservation nonprofits, including LandPaths and Russian Riverkeeper. Taj loves propagating native plants, cooking, reading and wandering around this beautiful county. Julian focuses on conservation of the Baylands region of southern Sonoma County. He is particularly interested in understanding and connecting tidal and upland landscapes to accommodate future sea level rise — work that enables him to work with many partners in conservation, transportation, agriculture and more. Julian lives in Santa Rosa with his family and, when not at work, he loves to ride, hike, ski and surf as much as possible. Julian holds a BS degree from Colorado State University and an MS degree from the University of Vermont. Tony has been with Sonoma Land Trust since 2008, and cares for our properties and manages regional stewardship programs in Sonoma Valley and the Mayacamas Mountains — including work to protect wildlife habitats and movement corridors. He has bachelor’s and master’s degrees in wildlife and fisheries science. His 16 years in conservation prior to arriving at Sonoma Land Trust were spent as a project manager with The Nature Conservancy, where he used grazing and prescribed burning to reach ecological objectives, and as director of stewardship for Marin Agricultural Land Trust, where he became a California certified rangeland manager. As conservation easement program manager, Kyle works closely with colleagues, landowners and partners to manage Sonoma Land Trust’s conservation easement properties. He was raised in Reno, Nevada and then moved to Washington State where he earned his bachelor’s and master’s degrees in environmental studies at The Evergreen State College. His graduate studies led him to work in a variety of locations, including Washington, Alaska, New Mexico and Maine, before returning to the West Coast to work for the Land Trust in 2015. Kyle enjoys exploring and photographing the landscapes and wildlife of each area he’s called home. Tom’s early interest in all things outdoors led him to start his college education in the natural sciences and then meander over to the social sciences to earn a sociology degree at Cal State Long Beach. His nonprofit administration work was in youth development, but, later, he found greater satisfaction in construction and project management. That, coupled with a deep interest in wildlife and their habitats, led him to work for many years as an independent contractor completing numerous projects for Sonoma Land Trust. Today, he’s helping to rebuild the infrastructure on Sonoma Land Trust’s burned preserves.